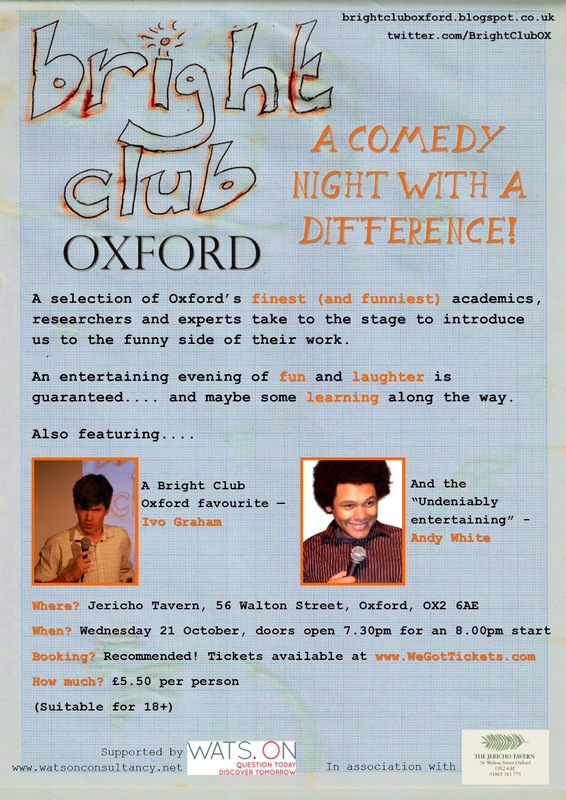 Bright Club Oxford Nature Filled Line-Up Announced! Alison Woollard on the wonder of worms...no, really! Our headliner is John Gordillo - Multi-talented John is a comedian, writer, director and presenter of the 'brilliant oddity' BBC Comedy The RDA. 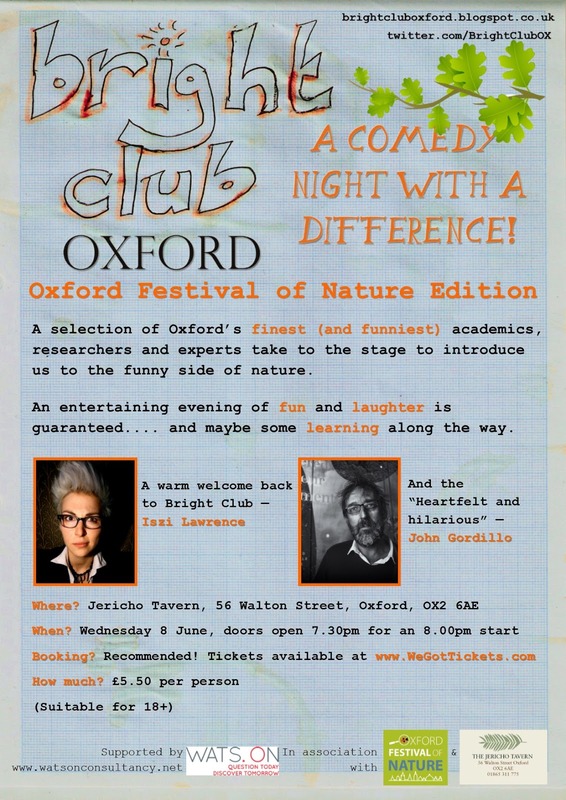 "Delicious, meticulous and elegant ... unconventionally sassy"
"See her before she hits the big time"
Bright Club is back as part of the Oxford festival of nature! Book for Christmas Bright Club! Join us for the last show of the year! 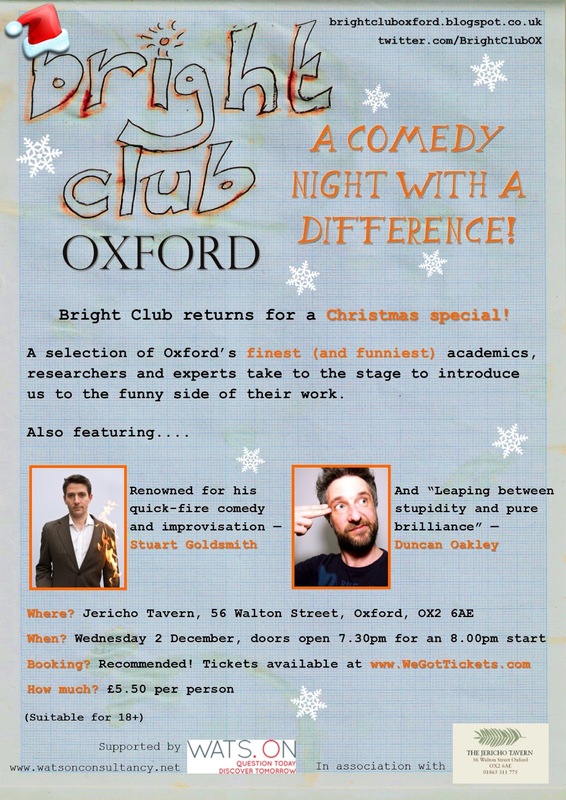 Tickets are now on sale for December Bright Club. Book in advance to avoid disappointment! (Please note: This event takes place on the first floor of the Jericho Tavern and there is no disabled access). 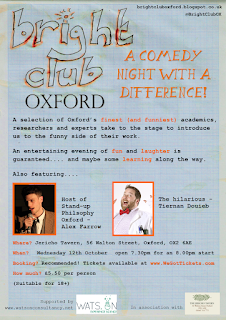 Tickets are now on sale for the next show on 21st October. 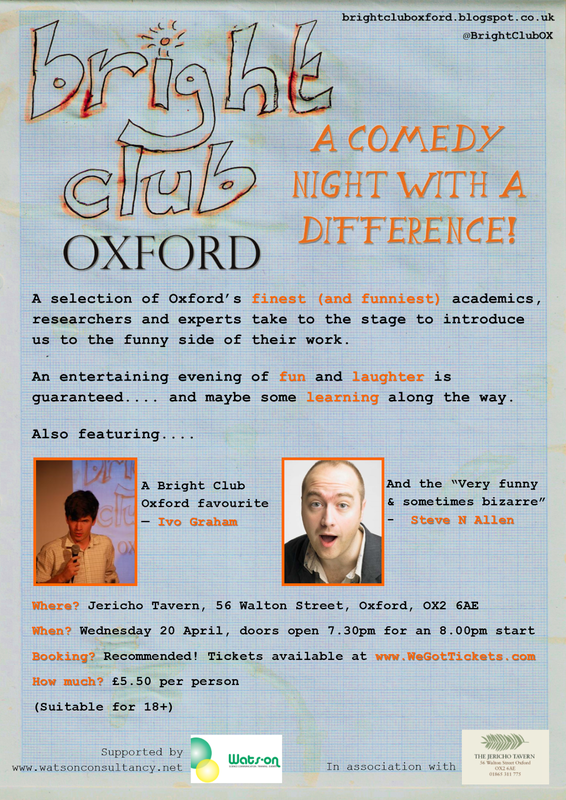 They sell out fast - so book in advance to avoid disappointment!